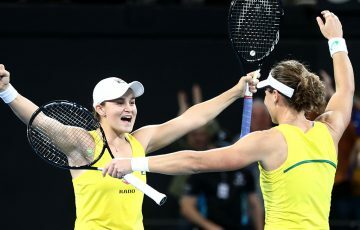 Jarmila Groth and Sophie Ferguson have been named alongside Samantha Stosur (No.6), Anastasia Rodionova (No.64), Alicia Molik (No.130), Jelena Dokic (No.137) and Rennae Stubbs (No.10 in doubles) in a strong seven-woman Australian Fed Cup squad. The squad was named today by Australian Fed Cup Captain David Taylor and Coach Nicole Bradtke and it will be the first opportunity for Groth (No.42) and Ferguson (No.122) to represent their country at the Fed Cup by BNP Paribas. Australian Fed Cup Captain, David Taylor said that it is an exciting time for women’s tennis in Australia. 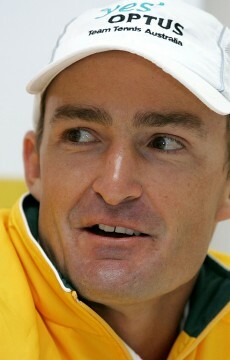 “There has been some strong individual performances and milestones recorded throughout 2010,” Taylor said. “Sam reached a career high of No.5 in July, Jarmila recorded her highest ever ranking of No.41 in September and won her first WTA event in Guangzhou, Anastasia recorded her career-high ranking of No.62 in August and Sophie also had a career high of No.109 in July this year. “Add to these performances two experienced former 10 ten players in Jelena and Alicia and a top10 doubles player, Rennae, and we have a lot of depth to choose from for our Fed Cup clash in February. “It will also be Jarmila’s first chance at a Fed Cup debut after her long wait for Australian citizenship, which was granted last year. 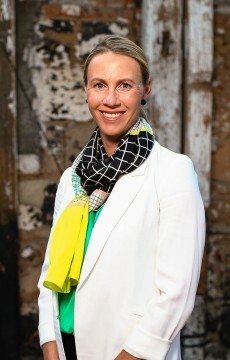 Australian Fed Cup Coach Nicole Bradtke said the 2010 Fed Cup champions would pose an exciting challenge for the Australian team in Hobart. “The World Group boasts some very tough competition,” Bradtke said. “We’re looking forward to taking on Italy, who have a tremendous record in Fed Cups and I am expecting the tie to be a close challenge but one which is achievable. The final Australian Fed Cup team will be named during the first week of the Australian Open, with team nominations due to be submitted to the ITF 10 days before the Saturday 5 to Sunday 6 February 2011 tie. If Groth and Ferguson are selected it will be their debut for the Australian Fed Cup team with all other squad members helping the team return to the World Group for the first time since 2004. Australia’s No.1 player, Samantha Stosur, and French Open champion Francesca Schiavone are likely to spearhead the two teams in what will be a replay of the 2010 French Open final. The two top 10 women will be out to lead their teams to victory in what will be a tight contest at Domain Tennis Centre in Hobart. Tickets are available through Ticketek, www.ticketek.com.au or call 132 849, with two day series adult tickets priced at $62.90 and concession and children’s tickets $54.90.